Time and again during her twenty years as a mountain rescue leader, Jill Fredston has been left wondering why, given identical training, experience, and environmental conditions, one person survived while another did not. Survivors tend to be those who are able to get through the denial phase quickly and accept the reality of their situation. This, in turn, allows them to more clearly perceive the problem and come up with a plan of action. What can fundamental rules of survival teach us about preparing for the future? How can we manage fear and even use it to our advantage? If we know that change is inevitable, how can we plan for it? How can we build flexibility into these plans? Essentially the problem we are faced with when venturing into challenging terrain is one of uncertainty. Is it safe? Is the timing right? What are the alternatives? Often we don’t really understand the risks we are taking until faced with the consequences. By definition, some risky enterprises must fail. How can we assess and maximize our chances of success? For the last 25 years, Jill Fredston has quite literally staked her life upon finding quick, accurate answers to these questions. Her unique insights concerning risk assessment and decision-making are directly applicable to competitive, volatile business environments. With extraordinary images and stories, Jill is not only able to put the audience nose to nose with grizzly bears or on the steep edge of a slope about to avalanche, but to bring a fresh, real-world perspective to weighing the odds, fostering communication, and making wise choices. 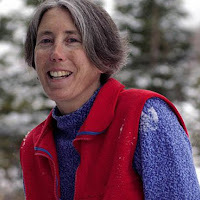 Jill Fredston, co-director of the Alaska Mountain Safety Center, is one of North America’s leading avalanche experts. She has spent twenty-five years predicting avalanches, triggering them with explosives, teaching potential victims how to stay alive, and leading rescue efforts in Alaska. Then, every summer, she climbs into an ocean-going rowing shell and heads out on long expeditions in the Arctic and sub-Arctic. With her husband, Doug Fesler, in a small boat of his own, she has rowed the equivalent of the circumference of the earth—more than 25,000 miles along the rugged coasts of Alaska, Canada, Greenland, Spitsbergen, and Norway. 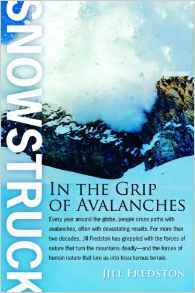 Jill’s most recent book, Snowstruck: In the Grip of Avalanches is a brilliant look at the forces of human nature that lure us time and again into treacherous terrain. 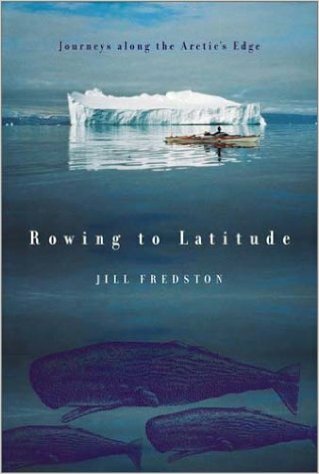 She is also the author of Rowing to Latitude: Journeys along the Arctic’s Edge, which won the 2002 National Outdoor Book Award. 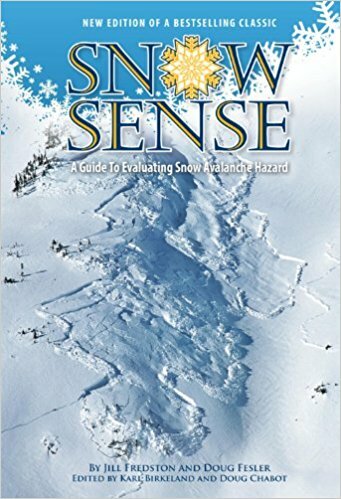 With Doug Fesler, she co-wrote the authoritative and internationally acclaimed Snow Sense: A Guide to Evaluating Snow Avalanche Hazard. Taking advantage of her unique experience and a vast collection of photographic images, Jill has made a specialty of speaking about managing risks in high stakes environments, decision-making, and strategies for dealing with uncertainty and change. Bringing both credibility and humor to her talks, Jill’s keynote presentations explore the ways in which we filter information, often becoming so distracted by our own agendas that we take unnecessary risks or miss key opportunities. When we make assumptions that go unchecked or pay attention only to the data that tells us what we want to hear, she says, “we are like the Texas sharpshooter who shoots the side of a barn and then draws bull’s-eyes around the bullet holes.” She outlines an approach for making objective decisions based on real bull’s-eye data and details rules of engagement that help maximize our chances of success. Do you think you’d notice if a gorilla walked across the room? This is neither a rhetorical question nor as stupid as it sounds—the subject warranted study by a team of Harvard psychologists. All of us routinely waltz past gorillas. What we see often has more to do with what we have seen in the past, or what we hope or expect to see, than it does with what is staring us in the face. The narrower our focus, the more likely we are to miss what is in the rest of the frame. So what? Why do we care? Tough problems require broad, innovative thinking. Jill’s strength lies in her ability to help executives take the blinders off, anticipating not only potential pitfalls but new possibilities.